Sussex Irrigation, headquartered in the central Delaware town of Laurel, is BBI’s key dealer partner for the Eastern Shore region of northern Virginia, Maryland, and Delaware. David Brown, the company’s owner, has built a solid business in delivering Zimmatic irrigation systems to Eastern Shore farmers, offering high levels of precision in watering of crops. 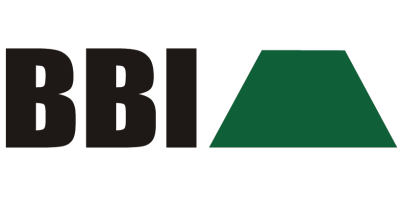 About 10 years ago, Brown and Sussex began working with BBI, with our company’s focus on precision in dry material application a natural complement to his irrigation systems and their support products and services. To meet the Eastern Shore’s high demand for organic material applications, Sussex irrigation has focused its spreader business on BBI’s Endurance line. Endurance is the company’s best-in-class hydraulic solution for organic material applications. Available in both pull-type and truck-mount versions, Endurance models come standard-equipped with BBI’s exclusive Binary Manifold system for plugging into precision agriculture technology. As of August 2013, Endurance models also come standard-equipped with the latest offering from BBI Electronics, the Task Command System. The new precision ag technology suite couples first-class navigation and guidance applications with variable-rate technology to take field agronomy to its maximum yield potential. With about 40 total employees and five key personnel focused on equipment sales, Sussex Irrigation is known for its commitment to service and being an early and strong adopter for introducing precision agriculture technology to the Eastern Shore. According to Lee Kilpatrick, Director of Sales and Marketing at BBI Spreaders, David Brown is one of the most respected dealership owners in the BBI network: “David just does things the right way,” stated Kilpatrick. “The team at Sussex is trustworthy, faithful, and reliable to everyone they serve. No comments were found for BBI South Dealer Spotlight: Sussex Irrigation. Be the first to comment!